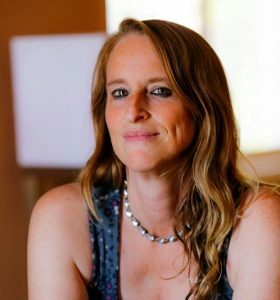 Kudos to Erika Mailman, author of “The Murderer’s Maid” for her amazing story-telling skills in weaving two stories together. The genres for this novel are Historical Fiction, Mystery and Thriller, Suspense and Fiction. The timelines of the stories take place around 1892, and in the present. 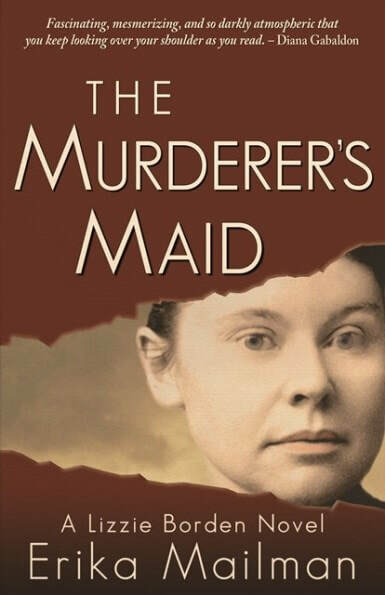 According to the blurb “ ‘The Murderer’s Maid” interweaves the stories of two women: one, the servant of infamous Lizzie Borden, and the other a modern-day barista fleeing from an attempt on her life.” I love the way Erika puts the pieces of the puzzle together in this story, how she relates the past and the present. I also appreciate the author’s historical research into Lizzie Bordon’s life and trial. The characters in this story are complex and complicated, possibly due to the times and situations. Some of the characters are dysfunctional, some are courageous, and some are threatening. Lizzie Bordon comes from an extremely dysfunctional family. Bridget, an Irish maid working for the family is witness to many uncomfortable situations and tension. There is a tremendous amount of turmoil, stress, hostility and anger that is going on in the Bordon household. Bridget is looked down upon because she is Irish, and at times is shown a lack of respect. Brooke, is the illegitimate daughter of an immigrant maid, that has to change her name and location because there is a threat to her life. Brooke works as a Barista to make ends meet. Brooke’s mother had been killed, and Brooke had been placed in a group home. Now as an adult Brooke has to find her way. The author discusses important topics such as immigration, as people come here and work hard to make a better life and find “while facing fear and oppression”. The author talks about the importance of loyalty, friendship, family, honesty and searching for self worth and the truth. Sometimes history has a way of repeating itself. Erika Mailman leaves us with a message of love and hope. I would highly recommend this novel for readers who love Historical Fiction, Mystery and Thrillers, Suspense and Fiction. I would like to thank Yellow Pear Press, and Erika Mailman for an Advanced Reading Copy for my honest review. During the Blog Tour we will be giving away a hardcover copy of The Murderer’s Maid! To enter, please enter via the Gleam form below. Genre: Fiction/Historical/MysteryBram Stoker Award finalist Erika Mailman brings the true story of the brutal murder of Lizzie Borden’s father and stepmother into new focus by adding a riveting contemporary narrative.